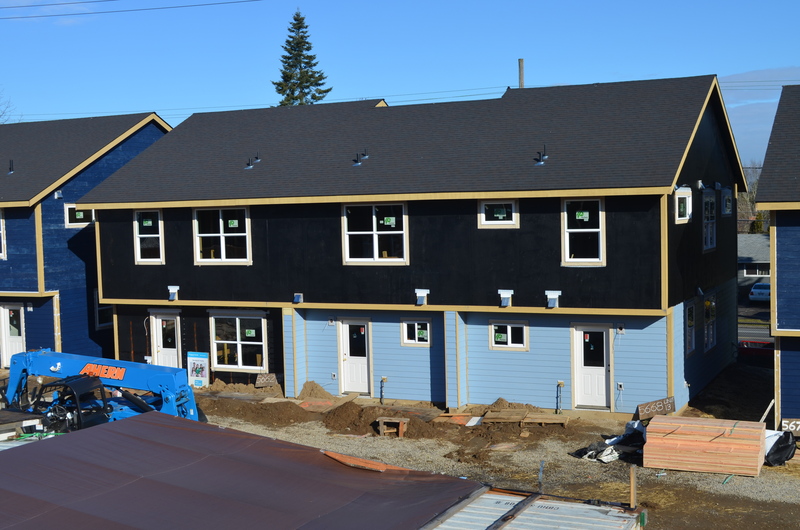 As the sun beams across our build site in the Cully neighborhood of Northeast Portland, construction of this 15-home community is starting to reveal signs of when a house becomes a home. One duplex is nearly complete, with a focus on internal finishes: a full set of kitchen cabinets are in place, interior doors are installed, and hardwood floors will be laid downstairs. Two units will soon follow; they have been approved for insulation and after another round of inspection, sheetrock will be installed. 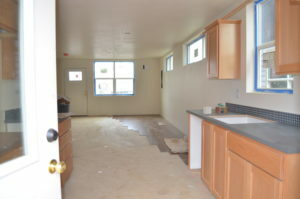 Once that’s finished, our Habitat construction crew, AmeriCorps, and volunteers will get to work on the internal finishes. The only key element still missing to make these houses into homes is the Habitat homebuyers who will live in them. With our first home dedication of the year set for June 15, the summer is looking to be a time of celebration as homebuyers become homeowners and settle into their new lives together at Cully Place.